It was one of the most dramatic settings I could have imagined. An ancient ruined amphitheater set on the edge of a precipice overlooking a steep and rocky valley. 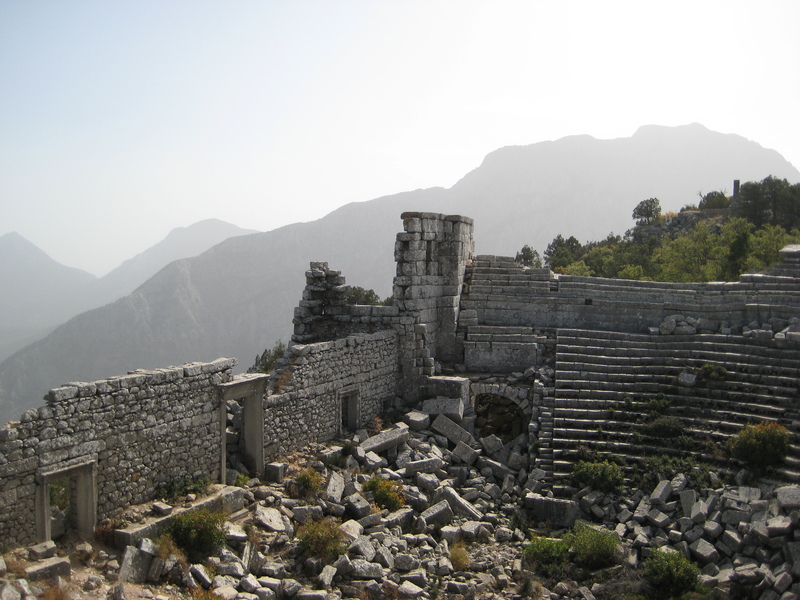 I was in theTaurus Mountains of southern Turkey clambering over the stone seats of the ruins of the once great city ofTermessos. 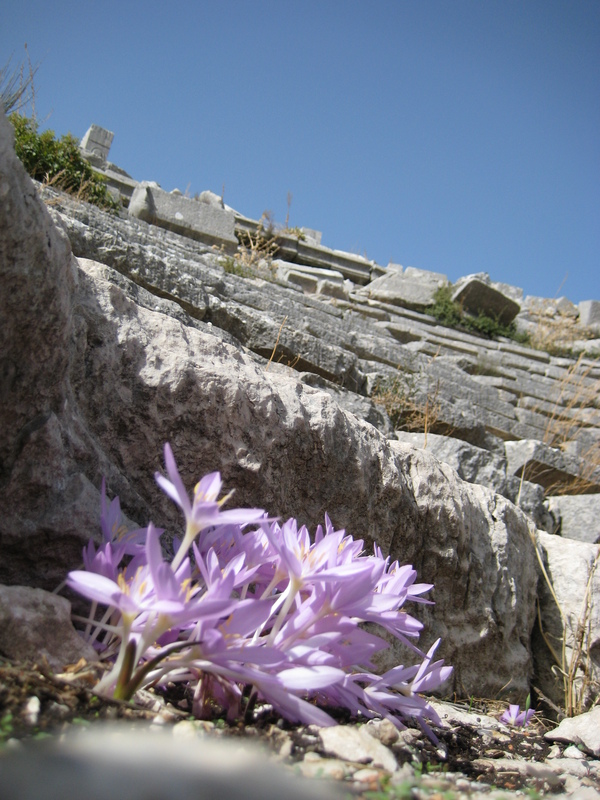 As I caught my breath and began taking in the details of my surroundings, a burst of delicate lilac caught my eye nestled amongst the rubble on the amphitheater floor. It was a group of beautiful crocuses blooming away in near obscurity. We tend to think of bulbs as needing rich garden soil, doubtlessly influenced by carpets of color tended by the Dutch or English. Actually, many of the bulbs we use in our gardens originated in relatively harsh environments, appreciating sharp drainage and a rainless dormant period, conditions that can be found in a western garden. 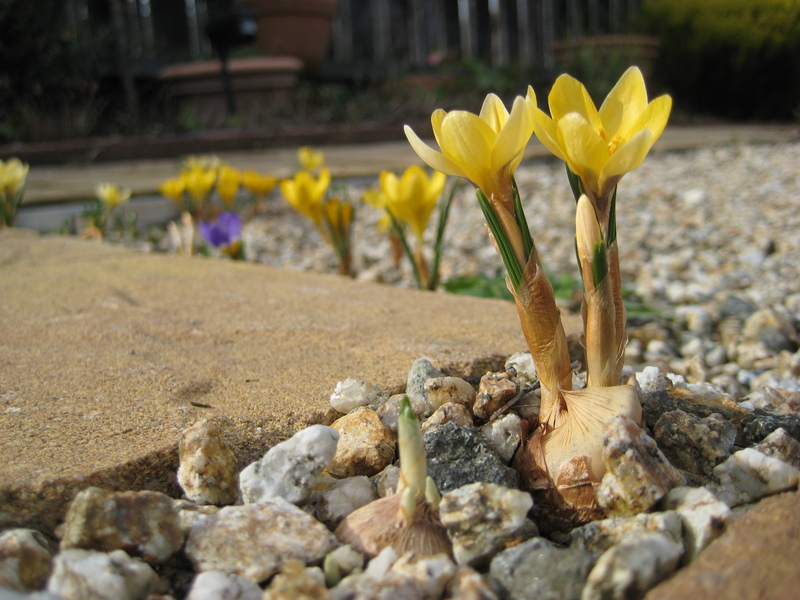 There are quite a few species of crocus, native to parts of Europe, and across central Asia to Western China. To complicate things further, what I saw in Turkey were the autumn crocuses, which are only distantly related to the better known spring crocus, but the general growing conditions are similar. Upon returning home from my trip, I began to think about overlooked nooks in my own garden with a new eye. I have a large expanse of gravel in an un-irrigated area and there are corners and channels that don’t get much foot traffic, and I thought to myself “why not”? 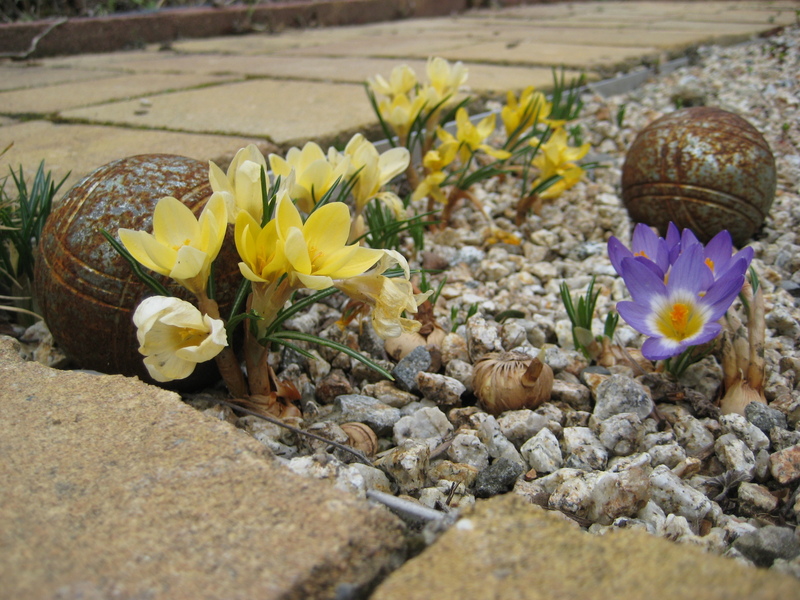 So in the fall, using the easier to find spring crocus, I nestled several dozen bulbs at random in the gravel mulch and walked away. 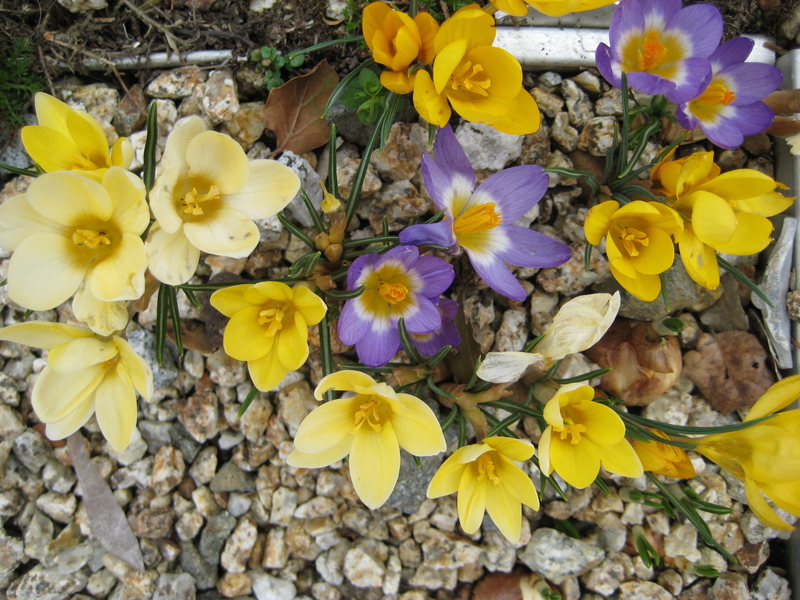 I am now rewarded with cheerful little blooms in shades of yellow, white and lavender, heralding spring among the gold granite gravel. 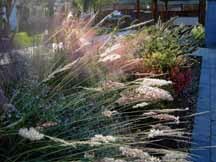 The bulbs have been watered by nothing but the winter rain and will go dormant once the moisture runs out. But they will sit quietly and wait until next year to give me a moment of joy once again. And that Dutch influence? Well, the crocus isn’t native to the Netherlands either, and the first crocus brought to that country supposedly came from Constantinople, now Istanbul, inTurkey…where the ruins of Termessos are. So I guess I’m part of a long tradition of gardeners who bring back inspiration from their travels. Hopefully bringing fond memories of the place they have been but most importantly a new appreciation for the place where they are.